Hello guys, hope you're all doing well. I started warming one IP address. the IP is configured properly (DKIM, DomainKey, SPF, Sender-ID, DMARC. MX.) Sending through TLS encryption connection. from the backend Im using pmta to send 2 simulate connections 5 messages per connection at 70 email per hour. Sending about 2000 email per day. I got 0.0% spam rate. 0.0% spam feedback rate. on my list it has 0 hard bounces. Gmail Postmaster takes time to update the report, Today Aug, 25th. send few message but there were no errors on pmta. I was just wondering what would cause this TempFail, with the reason: Suspected Spam. would it be the message contents, From Name/Email, or the speed. or many simulate connection ? gmail has a percentage of allowed emails per IP. i guess thats the reason. 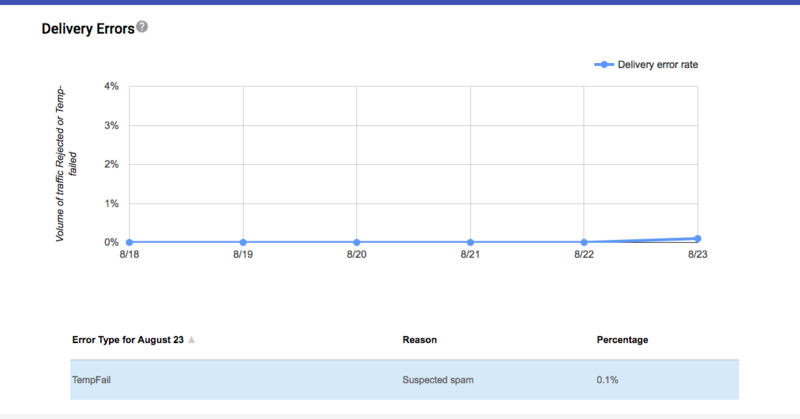 Hey, Thanks for your response, the IPs am using is sending limited number of emails per hour per day. the issue was in the message content. If anyone faced the same issue. check message content, subject, sending domain, domain(s) in the message body, the message html/text structure.